European-style 2 story, 3 car garage ALL brick home in The Falls at Weddington! 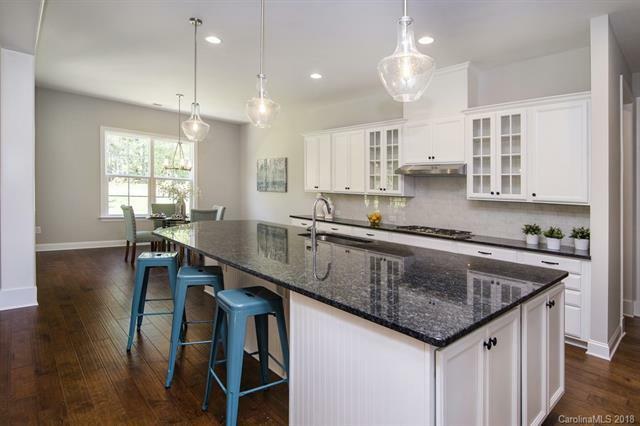 10 ft ceilings on the first floor, guest suite down w/ Walk-in Shower, large kitchen island with tons of upgrades, 5" hardwoods on the main with Full Oak Stairs & Iron Rails. Upstairs, a decadent master suite with a spa inspired master bathroom, large loft & Jack and Jill bath at the secondary bedrooms. A large screened in back porch with an exterior stone fireplace looking out into the woods round out this amazing home! Enjoy the resort-style amenities, including gym, pool, clubhouse, and playground.